This is what happens when clients conspire with carpenters. 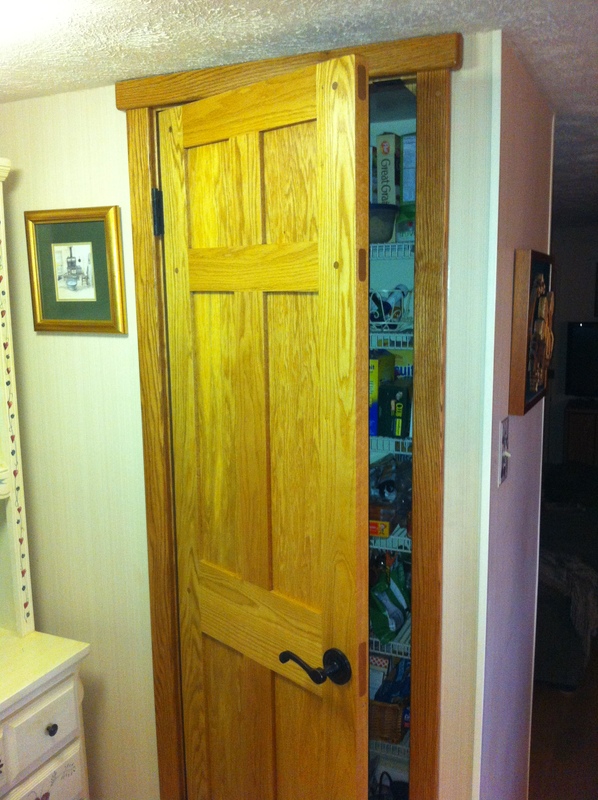 The supposed pegged through tenons on this pantry door are not real. They are only surface inlays and exist only on these two surfaces. This Oak door and frame was my first project with the Festool Domino.